Quoted as “one of the most poignant songwriters in the country” (Nialler9) and “nothing short of heart-stopping” (Ed Smith), Molly Sterling has certainly caused a stir during her short time in the Irish music industry. With notable appearances at Other Voices, Forbidden Fruit and Indiependence to name but a few, her debut headline show in Whelans on Friday the 22nd of March will be her biggest yet. Her early releases ‘Plain Static’ and ‘Stripped Down’ – which both premiered on Nialler9 to rave reviews, with Hot Press Magazine naming them both ‘Track of the Day’, and The Last Mixed Tape naming them ‘Track of the Week’ – saw both singles giving a clear sense of who Sterling is, and her highly emotive, honest and sometimes distraught song-writing gave the first hints of what lies beneath for this young artist. Molly Sterling has been creating music for as long as she can remember. 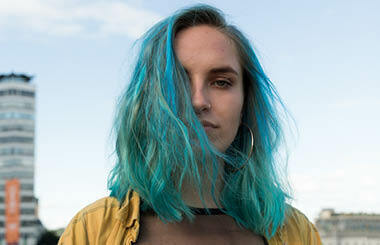 A wordsmith and songwriter by nature, her music is moulded by dark and affective lyrics, wrapped up in grounding piano riffs, and a vocal that is overflowing with exposed emotion – delivering every note and syllable with precise detail, giving the listener the feeling that it has been honed from somewhere buried and unfathomable.